We only had one day to wonder around the city, but it was enough to open our appetite for discovering more about France. And although the people from the North of the country don’t have too many good things to say about Southern France (Toulouse included), I would say we found a lovely city, with beautiful architecture and a relaxed lifestyle that would very much fit our way of living. Toulouse is the capital of the region of Occitanie. The city is on the banks of the River Garonne, and it’s the fourth-largest city in France, with about 460 000 inhabitants. Toulouse is the centre of the European aerospace industry, with the headquarters of Airbus. 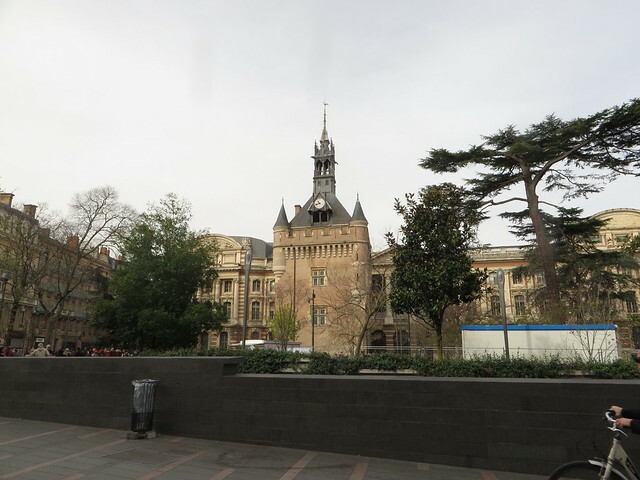 The University of Toulouse is one of the oldest in Europe (founded in 1229) and, with more than 103,000 students, it is the fourth-largest university campus in France, after the universities of Paris, Lyon and Lille. 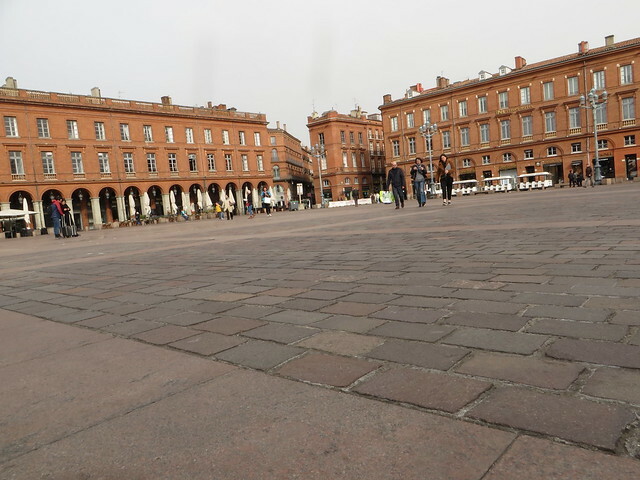 Toulouse is called in France La Ville Rose (the pink city) due to the pinkish terracotta bricks that some of the main buildings in the city center are built with. 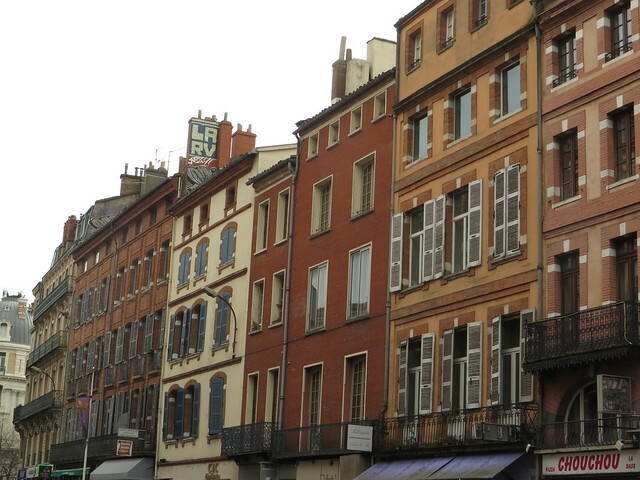 Toulouse is also house to two UNESCO World Heritage. 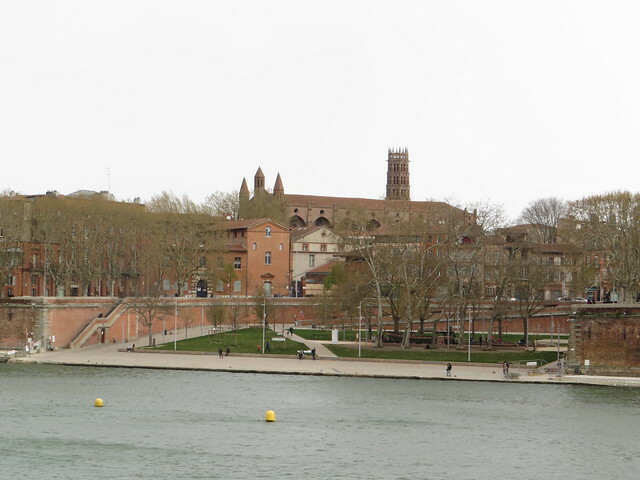 First one, Canal Du Midi links Toulouse and the Garonne River to the Mediterranean Sea. 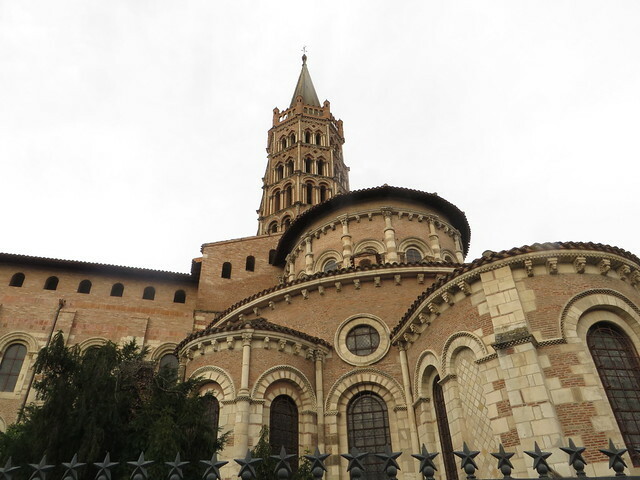 The second one, The Basilica of Saint Sernin has a very rich history and a beautiful architecture. It’s also linked to the Santiago de Compostela Pligrimage route. The city center is a delight to have a walk on a nice and warm spring day. It was a delight even for us considering the extremely windy conditions we had. Colorful houses, a lot of attention to details, small shops selling fresh bread, cheese, or meat products, busy markets full of fruits, vegetables and sea food. 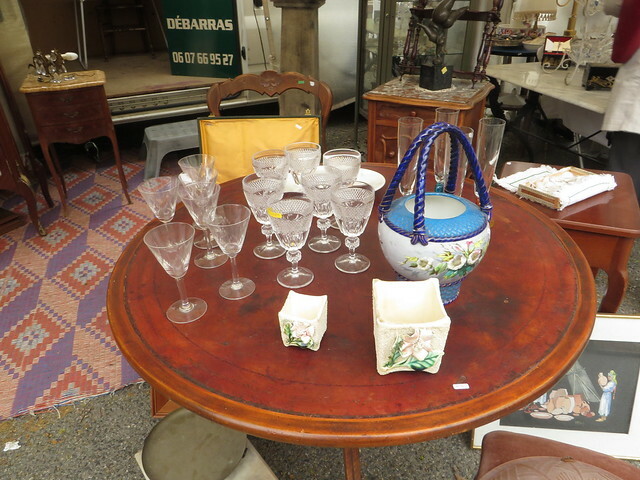 Big plazzas offer enough room for people selling old books and records and even all sorts of antiques. One day is for sure not enough to explore the city in each and every corner, but it was enough for us to get a sense of how France looks like outside of the so famous and touristic Paris. 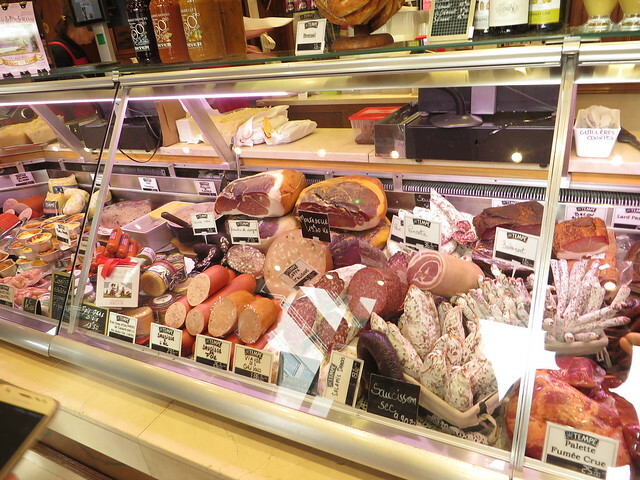 We would have loved to spend more time to also explore a bit the cuisine of the Occitanie Region, but there will be for sure another time.